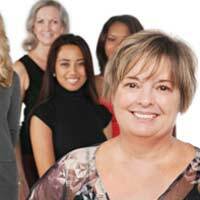 Menopause timing and symptoms are influenced by a number of different factors such as lifestyle. One new study suggests that even ethnicity could play a role by influencing how a woman experiences symptoms of the menopausal transition. The study looked at women in seven locations across the United States. It found that black women were more likely than white women to be struggling with menopause symptoms such as hot flushes, forgetfulness and also vaginal dryness. Other findings related to Latinas. Here, it was found that they were more likely to suffer from issues such as bladder problems, forgetfulness and vaginal dryness. In addition, they suffered from heart pounding more often. Symptoms that white women had a higher likelihood of experiencing included trouble sleeping. What was interesting in this particular study was that white women were less likely to make a report about forgetfulness. For women who had Japanese or Chinese ancestry, their issues were with sleeping, and feeling stiff or sore. They too reported problems with forgetfulness. Overall, the results form part of a new mission for researchers to give physicians more information and tools to find out which symptoms their patient is experiencing. In turn, they can then suggest the most appropriate, individualized treatments and therapies to help women who are dealing with menopause symptoms. The study is one of the biggest ones done to date that looks at lifestyle factors and ethnicity in conjunction with menopause symptoms. With over sixteen thousand women taking part in the study, researchers studied the women to see what differences there were in menopause symptoms. There are, however, still some criticisms of the study. It could be that some women report symptoms differently or they could relate specifically to a lifestyle factor such as diet. We already know that different ethnic groups report differences in diet and other lifestyle choices, which could be influencing the results. There are also studies suggesting that hormonal levels can vary from one ethnicity to another. This too could affect which menopause symptoms a woman experiences. Researchers found some additional useful information during the course of this menopause study. Lifestyle factors and socioeconomic status influenced the severity of menopause symptoms. For a woman who was poor, smoked or did not partake in much exercise as well as being overweight or not having a high school education, they were more likely to suffer from every symptom of menopause. The key takeaway of the study is that doctors should be sensitive to the different symptoms women experience during the menopausal transition. They need to be aware of differences in ethnicity, lifestyle and socioeconomic status when questioning women about their symptoms. In particular, women who show many of the lifestyle factors above are likely to experience more severe menopause symptoms but may downplay this severity when reporting the symptoms. The hope is that through this study, we improve access to the right treatment for all women going through menopause.